A devotee recounts an incident at John Lennon's place in an afternoon darshan. Srila Prabhupada spoke intimately about his very early childhood. He remembered these early moments with such clarity that it blew our minds. It just was stunning to us he recalled being a baby wrapped up in blankets and they were travelling in a bullock cart. He described that the bulls were immense white bulls and the bullock cart was moving at an a high speed since the bulls were running fast. Suddenly the bullock cart hit a stone and Srila Prabhupad said he could remember flying through the air and landing in some soft grasses unharmed the wheels of the cart collapsed and the two people inside were hurt. He remembered that incident with such detail we were all surprised. 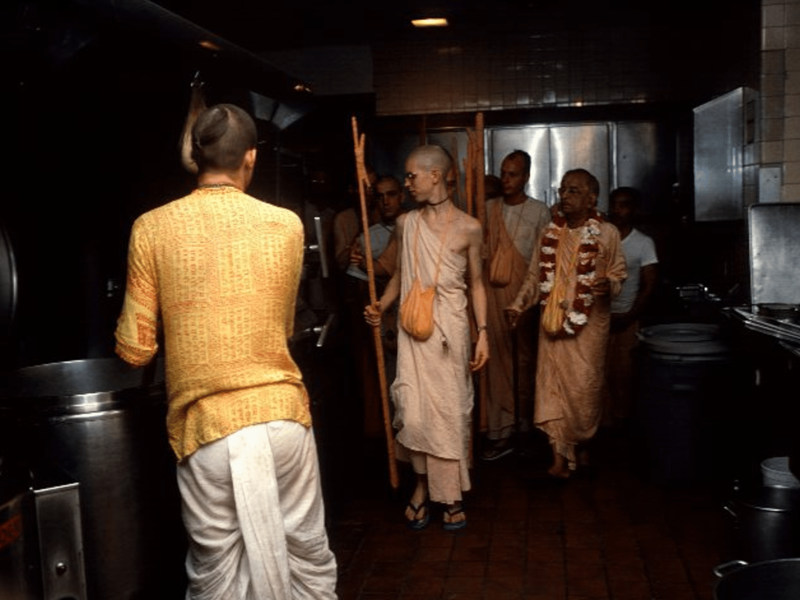 We asked Srila Prabhupad could you tell us more pastimes like that and he said at a later time. I will tell you but not now. I remember all these things. We asked him on a couple of different occasions and he never picked up from there. But we were thinking that he must have great awareness of not only this life but precious lives.